Pharmaceutical Business themes has been purchased 28, rating: 4/5 based on 3 reviews. Pharmaceutical Business Shopify Theme, which is designed by the ZEMEZ team, is a well-fitted theme for medical stores. 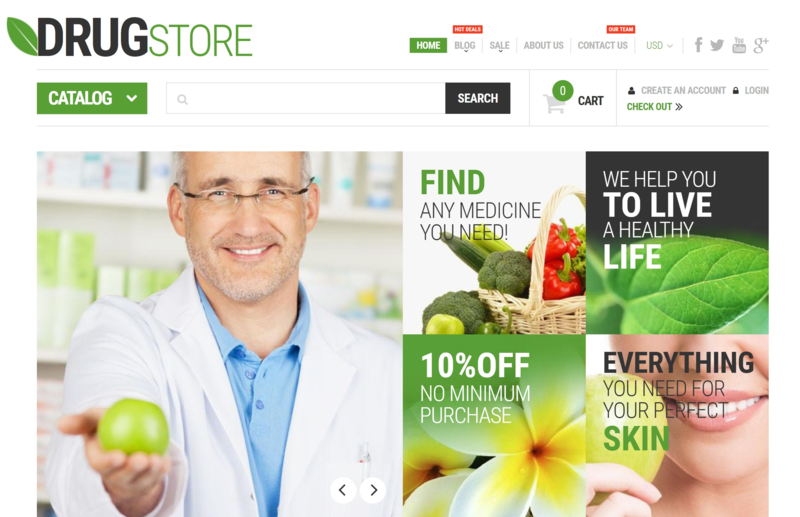 Showing an eye-catching design with green as the main color, Pharmaceutical Business Shopify Theme will bring a completely fresh and user-friendly feeling for any visitors coming to your website. This theme does support Lazy Loading Effect. Also, you are able to display your products in grid mode or list mode. There is a built-in map in the right lower corner so your customers can easily know your store location. Raise your traffic now with our Pharmaceutical Business Shopify Theme!